This the blog of a grade 3 class at Tillicum Elementary School. It is a record of our reading and learning about some of the First Peoples in Canada. The class read the book, Salmon Boy. This legend teaches how every season produces different foods and how each season is suited to different activities. The students have taken notes from the book and then shared what they learned through a Spark Video presentation. Please watch some of the videos and leave some comments in the Google form connected with each video. In addition to reading about dugout canoes students were given the opportunity to watch a few videos about dugout canoes. There is also this time lapse video of making a dug canoe. This example is not for a typical Northwest Coast Canoe made by the indigenous people of the area. It does however give a good idea of how big a task is to make a dugout canoe. 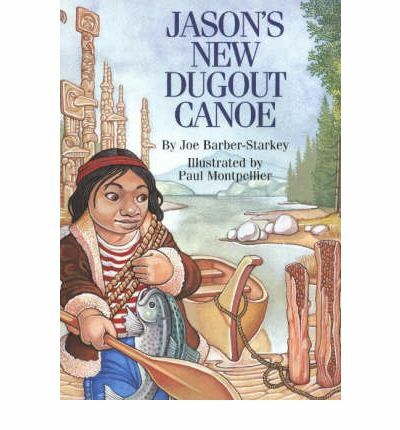 In our library class we read Jason's New Dugout Canoe. It is a story that describes how some Northwest Coast indigenous peoples make canoes. After reviewing all the main points of the book, students were given three scripts based on the contents of this book. They worked in groups using Chromebooks and created the following summary videos. This is our class summary of a story of a modern Inuit family going ice fishing. Why do Elders play an important part in the lives of First Peoples? This is our first attempt at making a summary of what we learned using a program called Adobe Spark Video.